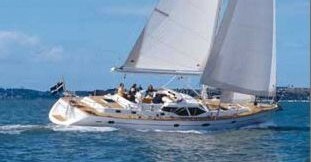 The American 14.6 is designed for the beginning sailor or those seeking a large, stable sloop that offers hassle-free sailing. 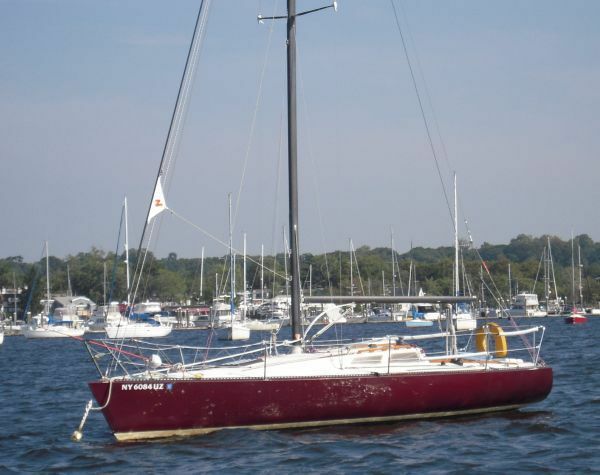 This sturdy, deep-cockpit daysailer features a 6-foot 2-inch beam, glass kick-up rudder, weighted glass centerboard, and a large built-in storage compartment under the deck. The large cockpit offers room for four adults with generous freeboard, comfortable seats and backrest, and includes locations for two drink coolers at the end of the seats. The hull is designed to be 80-percent self-bailing, and floats high in the water with a minimum 4-inch draft when empty. 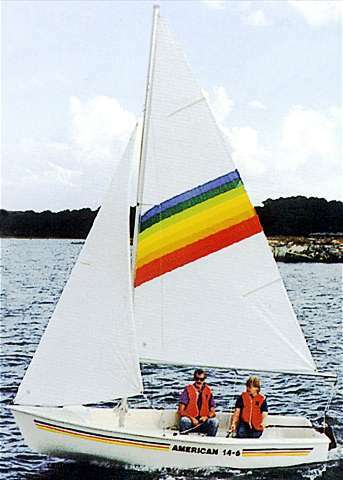 Simplicity is enhanced with color-coded main and jib lines, and features simple up and down colored lines for centerboard control. The tabernacle mast allows for quick stepping and easy retrieval at the end of the day. 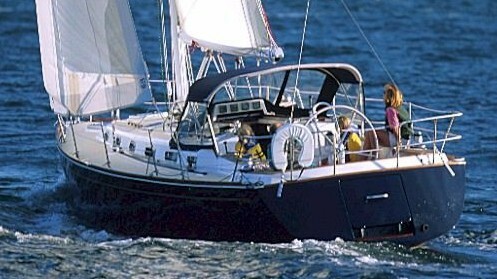 The 14.6 is also equipped with an advanced rudder system that can be raised or lowered from the cockpit and is designed to kick-up and spring down as necessary. 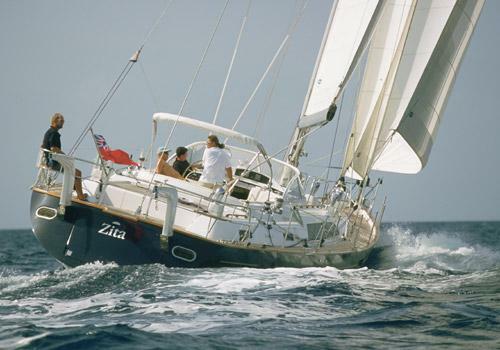 The main and jib contain 112 square feet of Dacron sail which - combined with the wide beam, hard chine, and flat bottom hull - performs well in light breezes or a stiff wind. 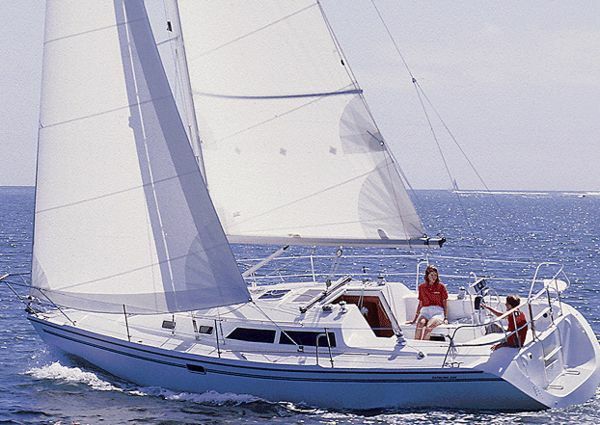 The American 14.6 is recognized as an extremely stable, large, dry, daysailer providing fun for all ages. 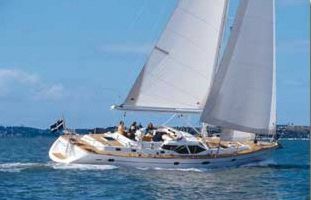 Optional features include a roller furling jib, spinnaker package, boom yang, motor mount, boat cover, and mooring cover. The galvanized trailer includes a mast stanchion and winch. Constructed of hand-laid fiberglass with closed cell floatation, anodized spars, Harken blocks, and cockpit non-skid, years of maintenance free use await the new owner. The 700 lb. rated galvanized trailer with mast stanchion can easily be pulled behind today's smaller cars. 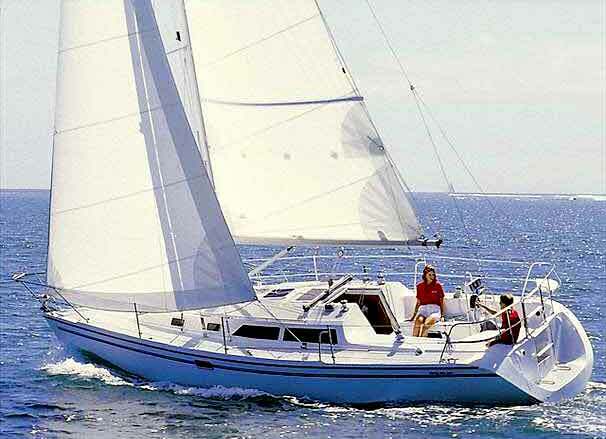 Price package includes boat, sails, and galvanized trailer ready for a day on the water. Length 14 ft. 6 in. Max Draft 3 ft. 6 in. Length At Waterline 13 ft. 5 in. Draft Board/Drive Up 0 ft. 4 in. Mast Height 20 ft. 6 in. Working Sail Area 112 sq. ft.